The right Toyota truck can connect you with all the outdoor adventure this country has to offer. 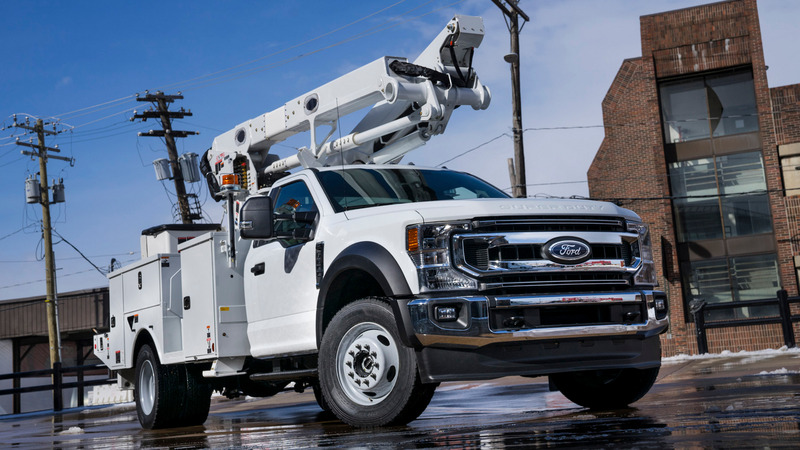 You’ve no doubt watched countless truck advertisements on TV — we’re talking about the ones where some gravelly voiced narrator tells you why the vehicles belong on a construction site or how many pounds of lumber they can tow. But here’s the thing: trucks aren’t just for construction. Many are designed with your outdoor lifestyle in mind. This is especially relevant here in the Great White North, where you need a good set of wheels to enjoy everything that the Canadian outdoors has to offer. One brand that touts their trucks as the ultimate outdoor companions is Toyota, whose vehicles have long been known for their reliability and strong resale value. If you’re more into camping than construction, here’s our guide to picking the perfect Toyota truck to suit your outdoor lifestyle. Whether you’re into hiking, mountain biking or camping in the back country, our country’s best pursuits have one thing in common: they take place in the great outdoors. Getting there is half the adventure, and if you’re going to go off the beaten track you’ll need a truck that can handle it. 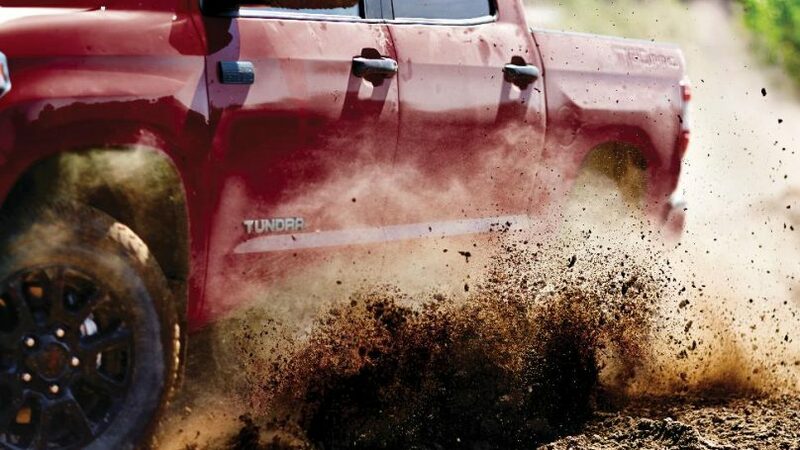 Enter the Toyota Tacoma and the Toyota Tundra, both popular choices for outdoor enthusiasts looking for a truck to fit their lifestyle. Built upon more than 80 years of global heritage, Toyota’s two pickups are as reliable as it gets, which is good news for those who want to experience nature without getting stranded in it. The 4WD midsize Tacoma is ideal for getting to those hard-to-reach places. Whether you’re trying to find the top of an epic trail or a quiet spot to set up camp, it boasts the ground clearance and traction to tackle any terrain. This truck is also no stranger to winter conditions, which is important if you live in snow-prone areas or like to hit them in search of fresh powder. With its 2.7 Litre, 4-cylinder Engine and 6-speed Automatic Transmission, the Tacoma is going to get you where you need to go. For those of you looking for a little more torque, the full-size Tundra is the vehicle of choice. 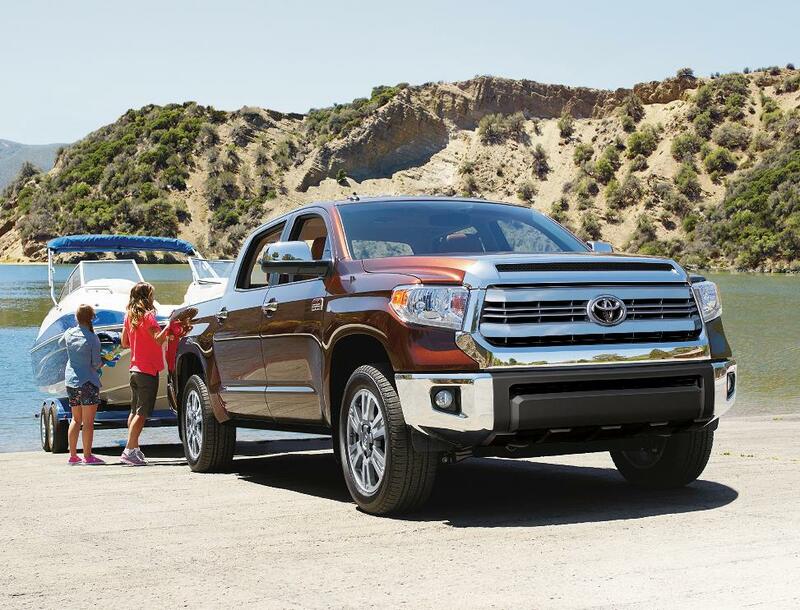 Boasting a powerful 310 hp V8 engine and up to 10,000-pound (4,535 kg) towing capacity, the Tundra will take on any load you like. So, if you plan on taking the boat down to the lake for a spot of fishing or hooking the trailer up for an evening under the stars, this is your best bet. While you may dream about spending all your time in the great outdoors, the reality is that at some point, you’re going to have to return to civilization — even if it’s just to stock up on supplies. And when you do, you’re going to want a truck that can handle the urban jungle as well as it does the great outdoors. 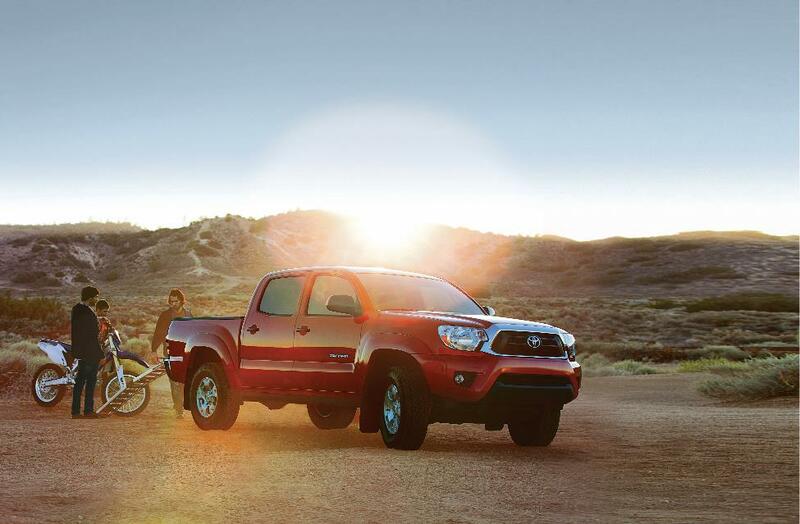 Both the Tacoma and the Tundra are as adept at handling your everyday life as they are your outdoor pursuits. 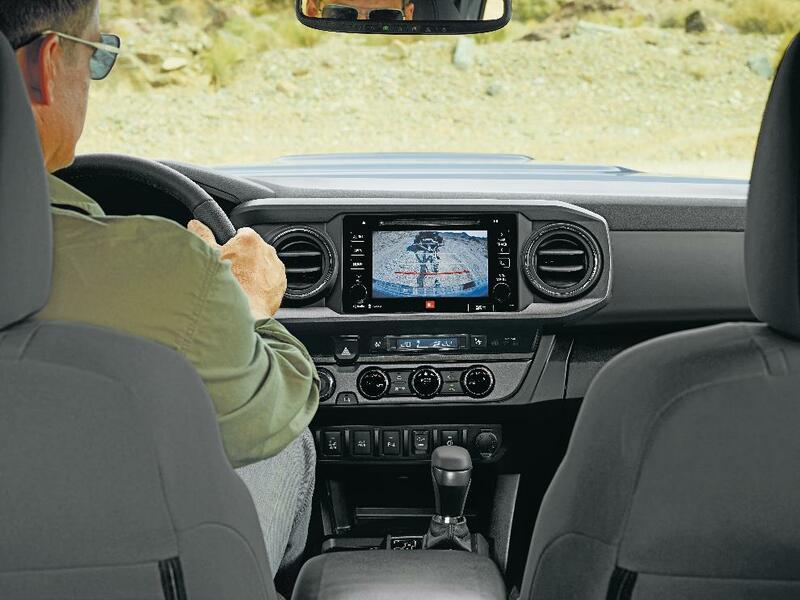 In the Tacoma, you can expect to enjoy a competitive 10L/100km on the highway, all while riding in a roomy cabin that will make you forget you’re driving a truck. The larger Tundra’s highway fuel economy sits at 13.6L/100km. Both trucks also come with Toyota Safety Sense (TSS) as standard, which gives you full access to a suite of advanced safety features from collision warnings to blind spot detection. For those of you who enjoy a little bit of technology in between your adventures, both the Tacoma and the Tundra serve up everything you need in a modern vehicle. Inside of the luxurious cabin you’ll find Toyota’s 6-speaker, 6.1-inch touchscreen Entune Infotainment System. There’s also a rearview camera that combines with the Tundra’s light steering to make the truck a breeze to maneuver even in the heart of the city. 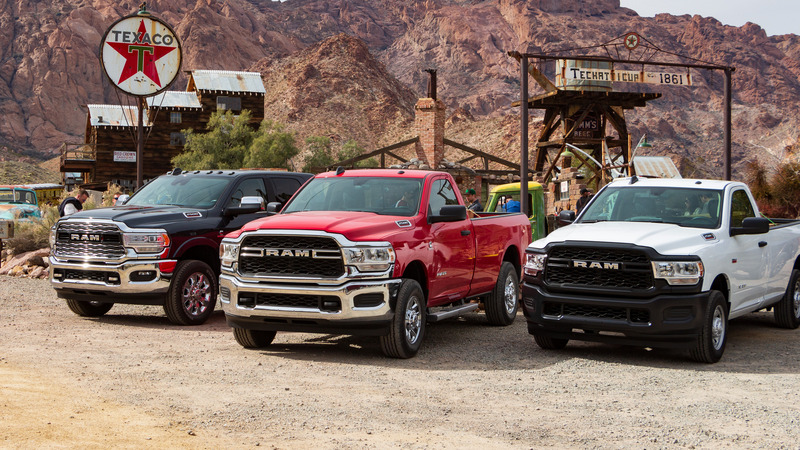 The final consideration for anyone looking for a truck to fit their lifestyle is cost. Starting at $31,090 (Tacoma) and $39,790 (Tundra), Toyota’s base models offer solid value for drivers. 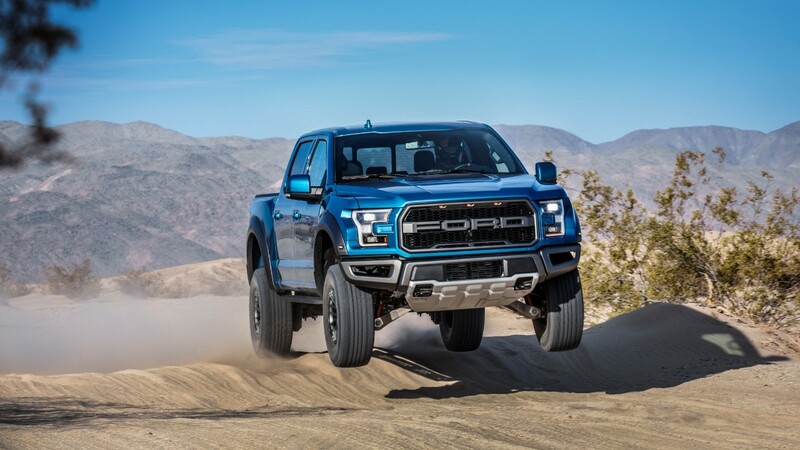 But it’s not just the upfront costs that you’ve got to consider when it comes to buying a new truck. The majority of Canadians will trade or sell their vehicle within nine years, so it’s important to consider depreciation as part of the total cost of any purchase. Some cars and trucks experience dramatic depreciation. The good news for anyone looking at a Toyota is that they can expect a good return if they decide to trade in their truck down the line. That’s because for the past nine years, both the Tacoma and the Tundra have been awarded for their Retained Value by Canadian Black Books, the definitive guide to car depreciation in the country. 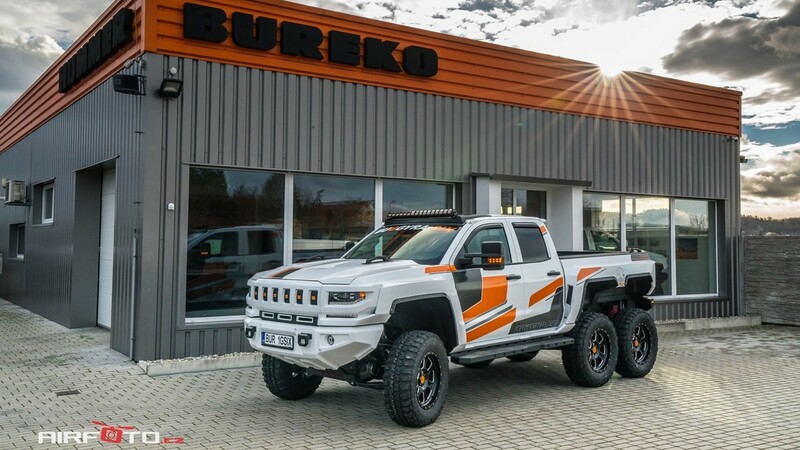 So, if you’re thinking about buying a truck, make sure you look beyond the construction commercials to think about how the right vehicle can fit in with your outdoors lifestyle. Whether you’re into hiking or fishing, camping or snow sports — the right truck will help to unlock everything that Canada has to offer.